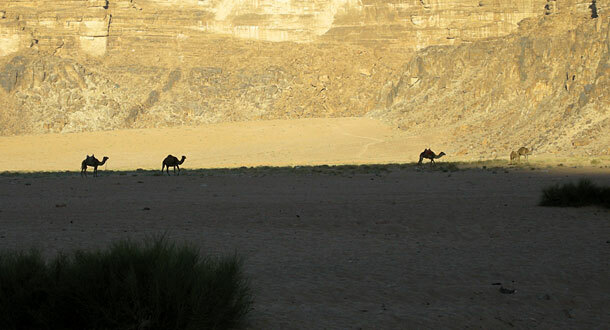 I pull down the zipper of our tent – ahead of me is a camel seesawing deliberately from one leg to the other. Welcome to Jordan! We are here finally. After many weeks of preparation for this climbing expedition, we find ourself in the middle of the desert. In front of us the huge rock massives of Jebel Um Ischrin and Jebel Rum with its abstract rock structures, which are so typical for this area. Here we want to push our limits in the next few weeks. 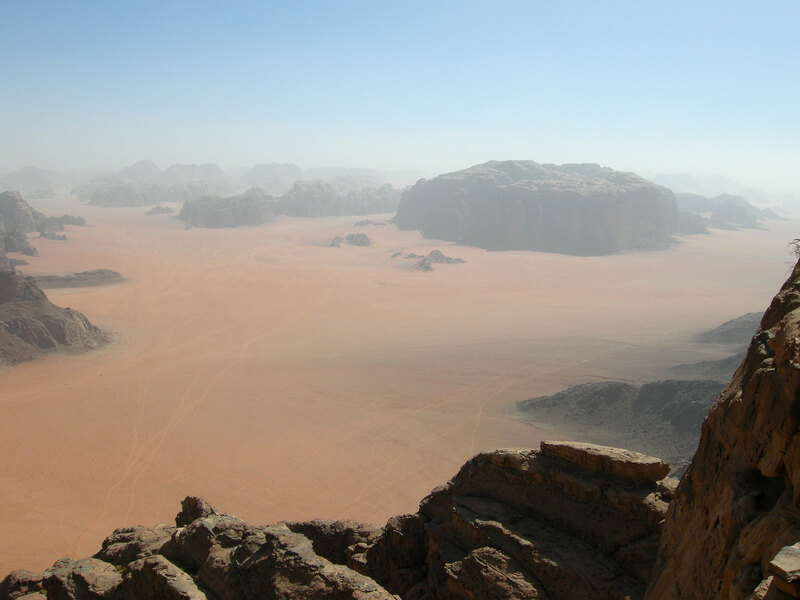 The Wadi Rum with its neighbouring dry valleys ( “Wadis”) is one of the biggest climbing areas the arabic world has to offer. 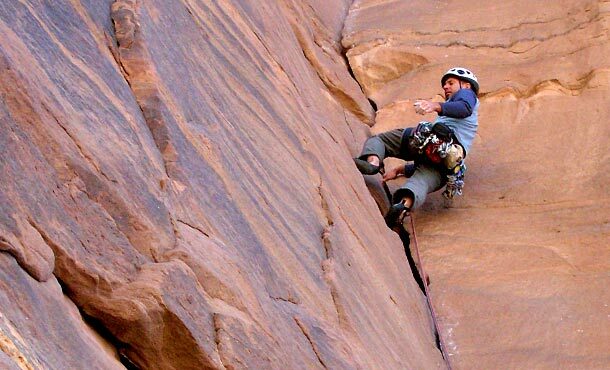 The sandstone massives lean on a granite base and offer challenging trad climbs in gigantic corner- and crack-systems. The sandstone is reflected in all kind of shapes and colors – from red to white, yellow and purple rock with pearl-look.  In 1984, the area was explored by a British climbing expedition with Tony Howard and therefore the British climbing ethics and tough grading of clean routes are established in this area. But also the well-known Remy brothers as well as Wolfgang Haupolter and Albert Precht have left their marks. 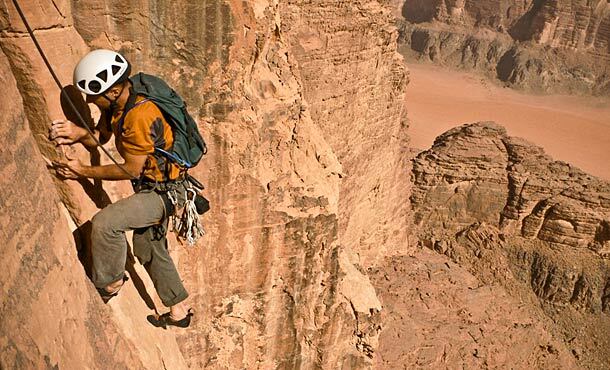 After several days of climbing in Wadi Rum, we alternated – highly motivated and well equipped with enough food and water supplies – the valley and continued to move in a narrow gorge – the Barrah Canyon. 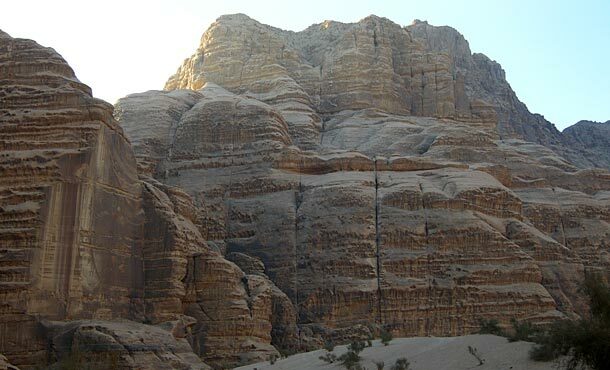 Here we wanted to climb the classic “Merlin’s Wand”, a partially overhanging crack, which splits the entire mountain of Jebel Abu Judaidah in two parts. The route offers elegant climbing and fantastic prospects into the gorge. 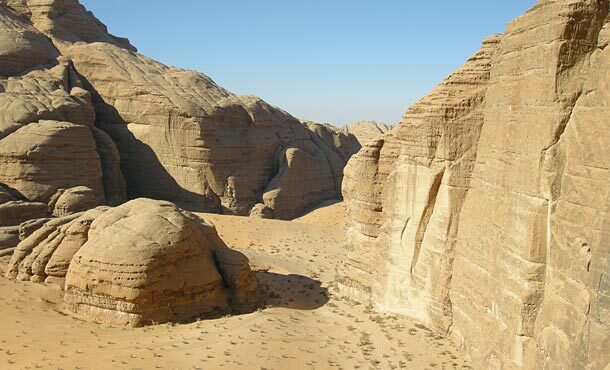 In addition to the climbing on steep walls, there are many ancient Bedouin routes, formerly used by the Nabateans (a nomadic Arab tribe, which lived here 2000 years ago) in search of water. In their footsteps we try an 11-hour west-east traverse of the whole Jebel Rum massive with ascent to the summit. The major problem with the Bedouin routes isn’t the climbing difficulty, but much more the complications with orientation and route finding. 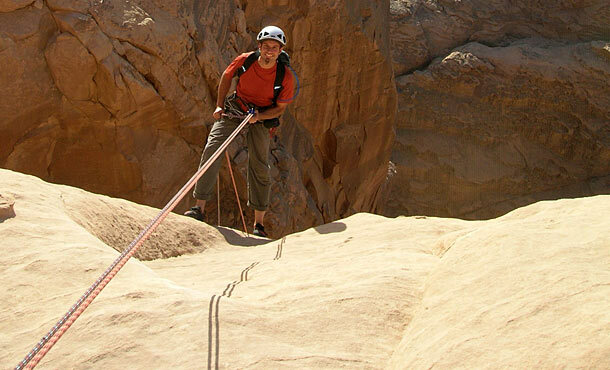 The Jebel Rum traverse is a very varied route through countless canyons, which have to be crossed or connected over ledges. We had to thwart a huge Dome landscape on the summit plateau, which is a puzzle in total, always in search for the right track. And one question remains all day: are we able to find our way out of this gigantic maze again? At the beginning of darkness we finally succeed, we manage the last rappel and arrive the camp in the light of our headlamps. 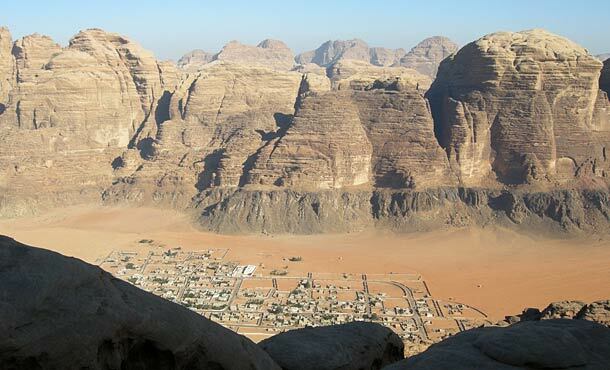 At night we enjoy the Arab culture with their very hospitable Jordanian and always feeling welcome in this country. 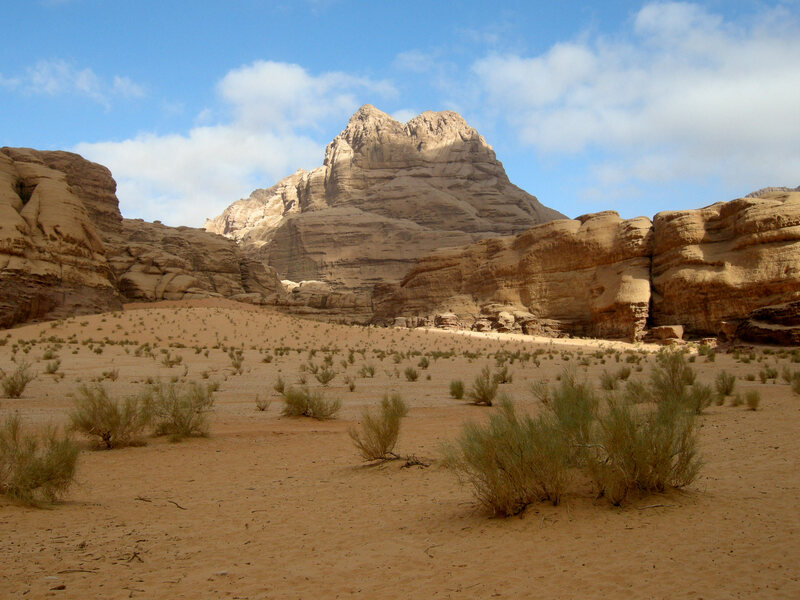 By airplane to Amman, take the bus on the Desert Highway to Aqaba and Saudi Arabia and leave it at the intersection of Rashdiya, hitchhike the last 20 km to Rum. 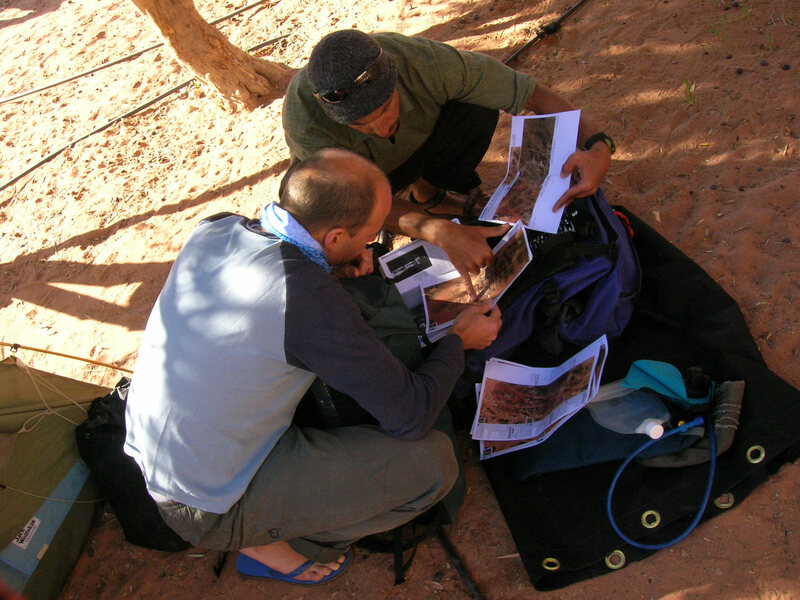 Changing the location within the Wadis works easily by camel or 4WD. 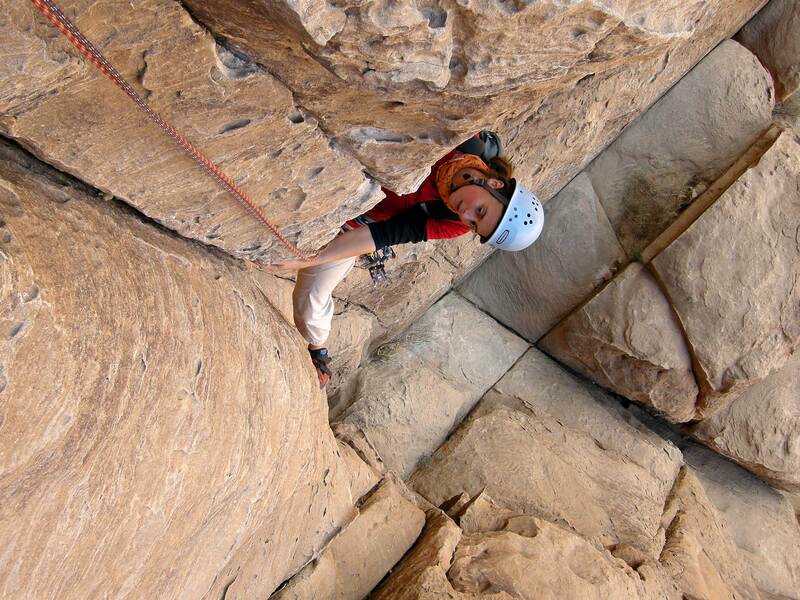 Multi-pitch climbing up to 700 m in sandstone of every color. The routes are clean, mobile protection from sensitive to super! Belays and rappel anchors sometimes have to be improved or even set up.